Karasutengu~! 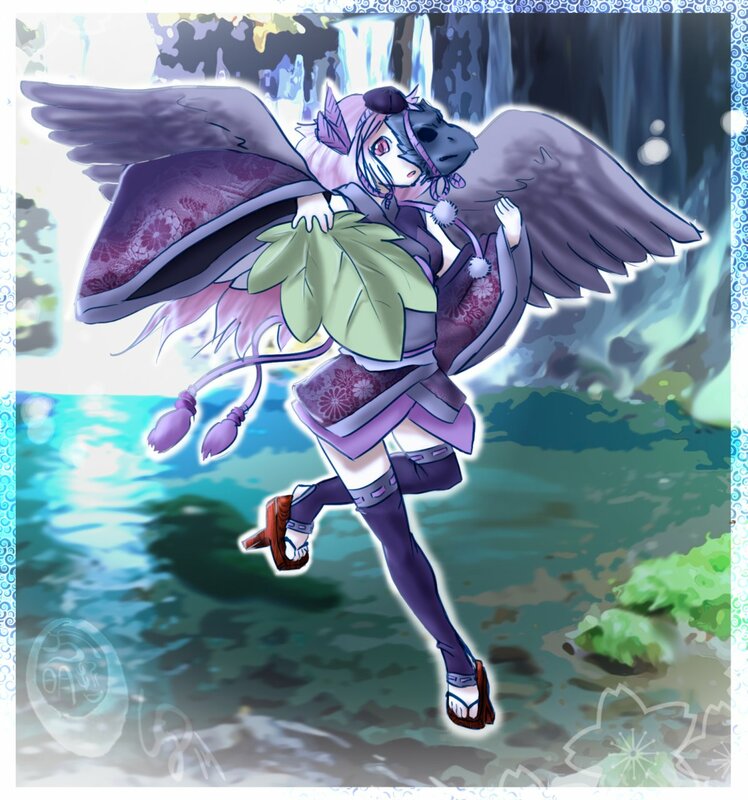 I love Tengu! Also, I had originally meant for her to be an actual karasutengu, but her face kept turning out a bit odd.. I might redo that version since I kept the layers, but for now, she remains this way!